First, you will need to login to your client area and download a copy of “WHMCS Hide Admin Status“. Full path after unzip: “modules/addons/hideadmin“. Find the “Hide Admin” module, and activate it. Now go back to “Hide Admin“, click “Configure” to add your license key. Set access control, Save your changes and your module is all set. 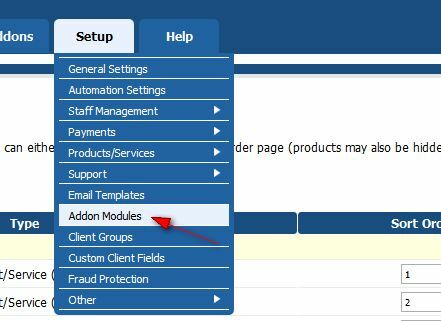 “WHMCS Admin Top Menu” -> “Addons” -> “Server Hide Admin“.